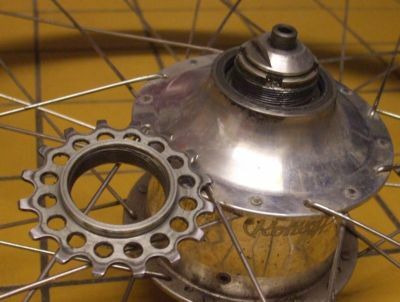 The Rohloff Speedhub internally-geared bicycle hub is a beautiful piece of equipment. Because of its reliablity, it is famed amongst world traveling bike tourists. These folks have taken Speedhubs to the remotest places on earth, places so remote that bringing several kgs of spareparts makes sense: Inner tubes, tires, spokes, chains, brake shoes, BB, pedals, cable ties, insulating tape .. 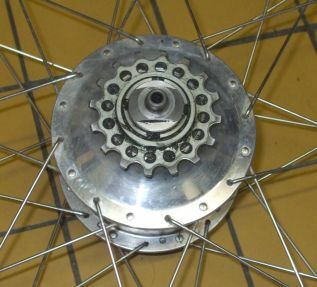 The guys at Rohloff know this, so they have designed the sprocket of the Speedhub to be reversible: Once it's worn down, take it off and put it on reversely, then just ride on. No need to carry a spare, which is a great weight-saving concept. But have you actually ever reversed your speedhub sprocket ? 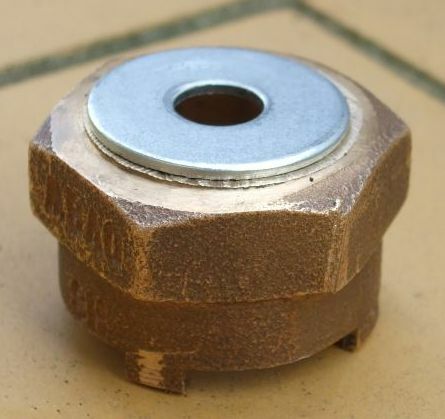 Without Rohloff's special sprocket tool it's easy to spoil the hub and not get the sprocket off at the same time. 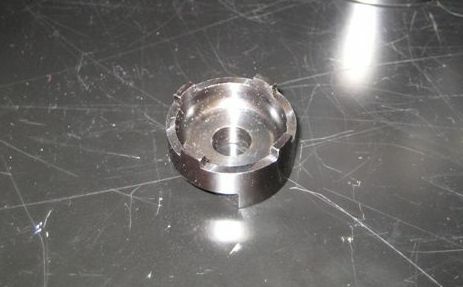 Now Rohloff's sprocket tool (part no. 8501) is quite solid and not exactly weight-optimized (52g), chances are high you've left it at home. So what to do if you're far from any Rohloff dealer, your sprocket is badly worn down and you need to change or reverse it ? This page may help. 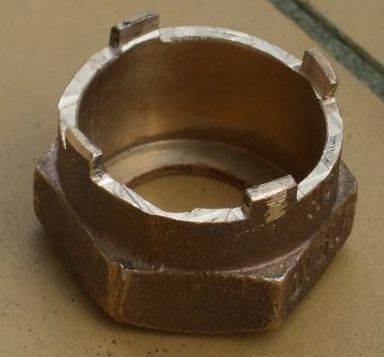 It's important that the tool is secured to the Speedhub axle. This is because the tool must not tilt or slip while a high force is being applied. The sprocket is usually very tight but with a chain whip, wrench, work gloves and some force, it can be loosened. 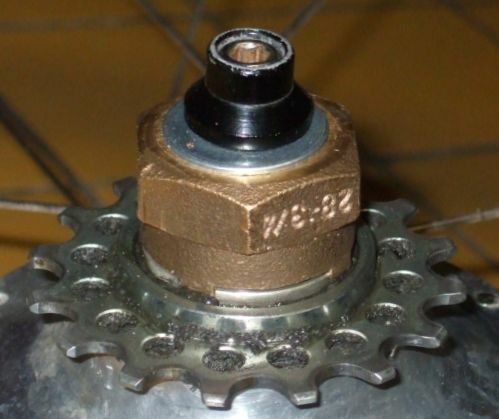 The sprocket has a standard thread, so in normal operation the chain pulls it onto the hub while counterclockwise rotation removes it. 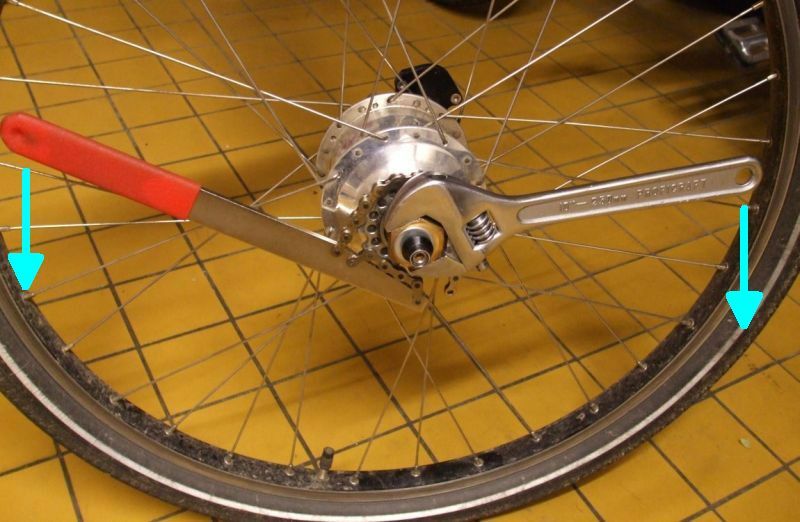 If the sprocket absolutely won't come off, if you got the direction right, try longer levers. For some people it's easier to lock the sprocket tool in a well-anchored vice, then pull on the chain whip with both hands. If nothing works, well, ask a real man for help. Eventually you'll get that sprocket off. By the way, turning the Speedhub over with the sprocket off creates an oil spill. Not all parts of the world are so remote that you need to do with a hack saw, a file and a vice alone. 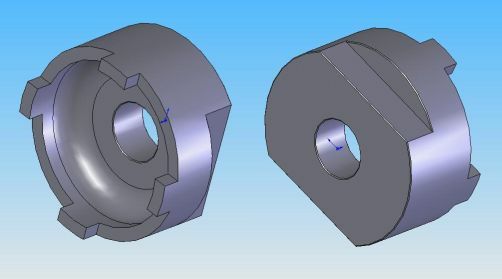 In a place with Internet cafes and industrial parks, why not go for this much nicer sprocket tool on the right. To help with the safe removal of the sprocket, why not make a simple chain whip at the same time. 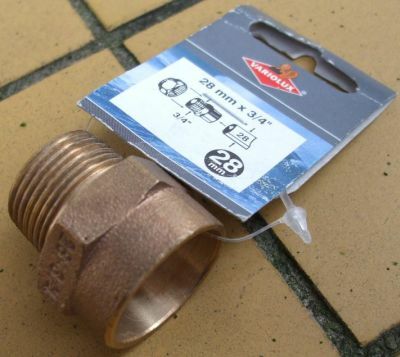 Grab a waste piece of flat steel and drill 3 holes (D = 4 mm) along the edge, then attach 2 short pieces of bicycle chain to these. As you plan to replace or rotate the sprocket, you will have a spare chain. It's normally long enough to serve both the bike and the chain whip. Now here's the output of the CNC machine !